The Name of your Page or File appears here. 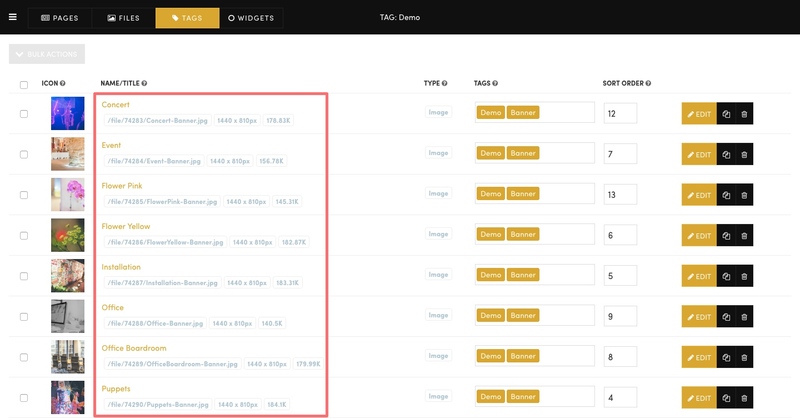 If your item is an Image, it will also let you know the file size and dimensions. If your item is a Page, it will also let you know the Page Status, either Live, Draft or Hidden.